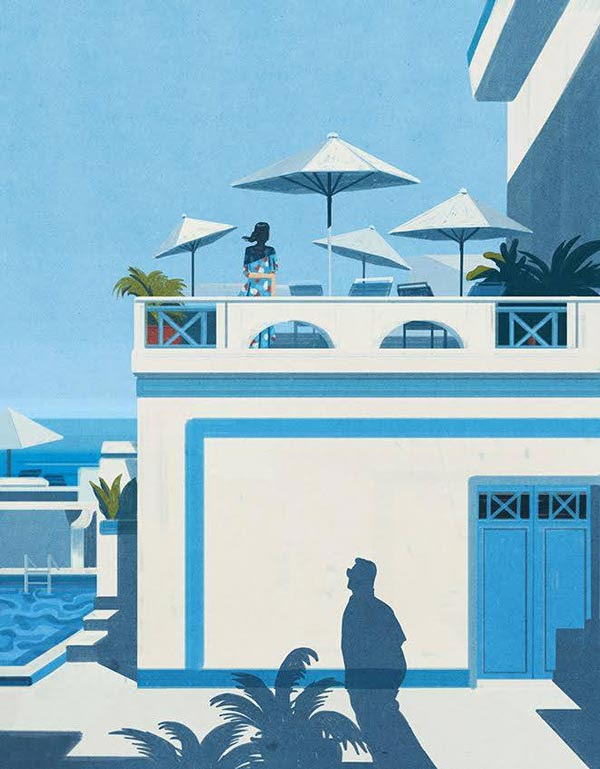 Above is Emiliano Ponzi’s clever illustrative response to a book review of A Separation by Katie Kitamura for O, The Oprah Magazine. Kitamura’s female unnamed narrator finds herself in southern Greece halfheartedly searching for her missing, estranged and unfaithful husband. In the novel, sun shades represent a cover from under which the narrator is free to fabricate stories of her husband (seen here as a shadow) seducing other women. The illustration shows Emilano’s talent at interpreting complex ideas into visual images.